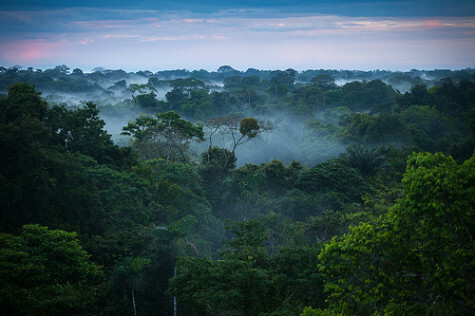 The Amazon rainforest is the latest natural wonder to get the Google “Street View” treatment. A camera that’s normally attached to a car’s roof to capture what neighborhoods look like instead recently took to a zipline, a hiker’s back and a boat in the Amazon jungle. Google has previously captured the Arctic and the waters near the Galápagos Islands. The imagery from the Amazon launched on Google Maps late Sunday. It gives viewers a sense of what it’s like to encounter the trailhead for the rainforest and to live nearby. The panoramic pictures also show the expanse of waterways and the density of flora.